An engraved vellum scroll from 1700. The Book of Esther is a key Jewish document, the third section of the Tanakh, (the Hebrew Bible). 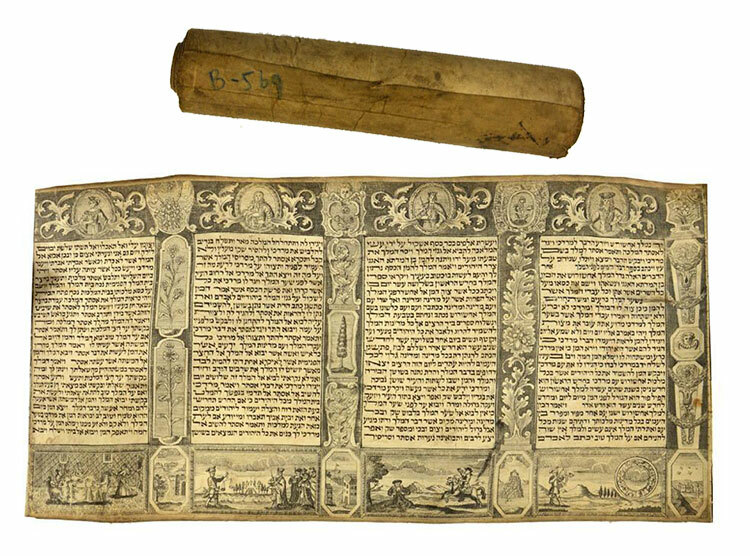 Also called The Megillah, the book is the basis and an integral part of the Jewish celebration of Purim. Esther was a queen of Persia who saved her people from genocide. This scroll was engraved by Shalom Italia, who was a Jewish artist born in Mantua, Italy. In 1641, in his early twenties, he arrived in Amsterdam and settled among the local Portuguese-Jewish community. Italia came from a family of Hebrew printers and most likely was trained as a draftsman and engraver by his uncle Eliezer d'Italia. In Amsterdam Shalom Italia perfected his craft and decorating Esther scrolls became his key skill. Despite Italia's many surviving works, which have been prized by private collectors and museums for centuries, only a few are dated and little is known about the artist. He created a number of different types of decorated Esther scrolls over the course of the 1640s. These were produced in multiple copies using the technique of printing on vellum. The Book of Esther's text is read aloud twice during the Purim celebration, in the evening and again the following morning. Besides Song of Songs, it is the only book in the Bible that does not explicitly mention God. 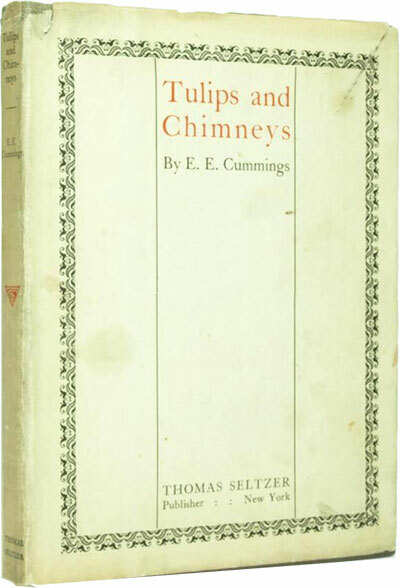 A 1909 first edition. This is the most expensive L.M. Montgomery book that has ever sold on AbeBooks. 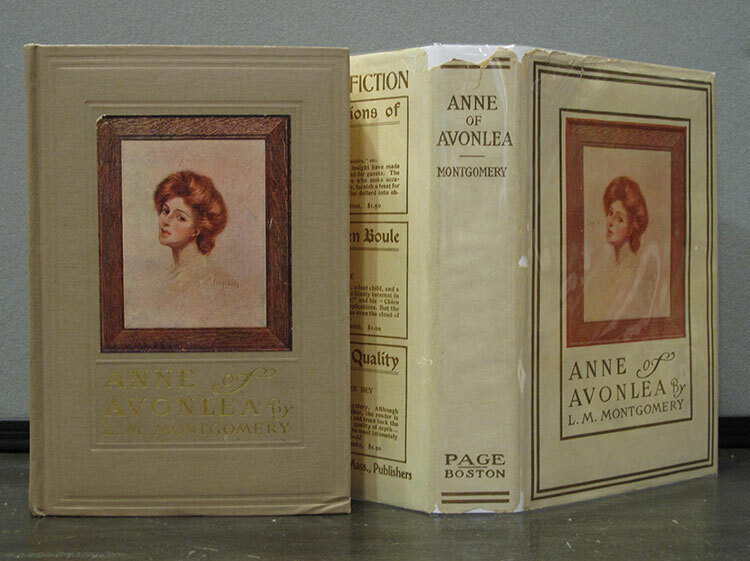 A first edition of Anne of Green Gables sold at auction in 2009 for £28,250. Published a year after the original Anne story, this book follows the Canadian heroine during the two years that she teaches at Avonlea school. A 1960 first edition of Harper Lee's classic novel, signed by Lee on a bookplate. The book and its dust jacket are both in very good condition. The engraved sheet music to a Mozart opera published in 1789 and signed by the publisher, Jean-Georges Sieber. Bound in contemporary green half leather. The opera was first performed in Vienna in 1785. Published in 1535, this is the third edition of Berengario's pioneering book on head wounds, the first book on head injuries and their neurological treatment. The work originated in a dispute between Berengario and other physicians over the treatment of Lorenzo de Medici, a Florentine statesman, who suffered a fractured skull in battle. Berengario described several types of skull fractures and grouped the resulting lesions according to their symptoms. He also discussed prognosis, diagnosis and treatment. 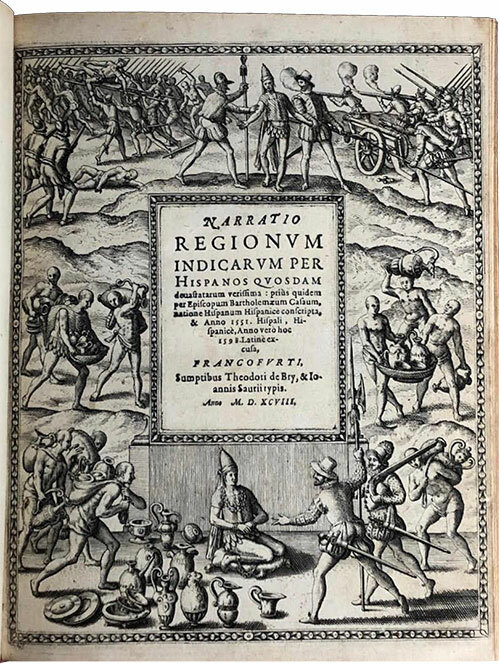 A 1598 book recording Spanish atrocities in their conquest of the Americas. Engraved title page and 17 engravings by Theodore de Bry and Jode a Wigne. Hardcover, rebound in full modern green calf with bookplates of the Bibliotheca Sobolewskiana and Alexander Hamilton Rice. The first edition of the Latin version and the first illustrated edition. This book was first published in French in 1579. The title translates as Fundamentals of Chemistry. Dmitri Mendeleev (1834-1907) was a pioneering Russian chemist. He formulated the Periodic Law, the basis for the periodic table. This edition was published in 1872 in Hebrew. There is a Russian myth that Mendeleev came up with the alcohol percentage of 40% for vodka. 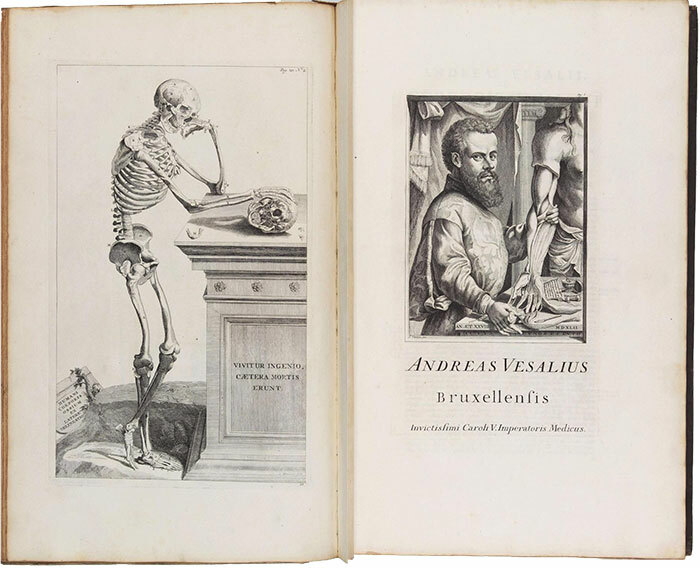 Published in 1725, this is the first collected edition of Vesalius' medical research. Andreas Vesalius died in 1564. Superb copperplate engravings by Jan Wandelaar. Large folio, two parts bound in two volumes. Near fine condition. Published in Barcelona in 1981, this art book contains etchings and aquatints by Miró, and is numbered and signed in pencil. Colourful, abstract compositions. The Catalan artist died in 1983. Published in 12 volumes in Stockholm and Leipzig between 1916 and 1922. A first edition of an epic work on Tibet that is rarely seen in a complete set. Swedish explorer Hedin travelled through Tibet from 1906 to 1908, and identified the sources of the Indus, Sutlej, and Brahmaputra rivers. He discovered and mapped the Transhimalayan Mountains, crossing the range eight times. The book contains maps, photography and panoramic chromolithography, and offers a clear picture of Tibet's topography. He also recorded botany and geology along the way. A 1923 first edition of the author's first book of poetry complete with its dust jacket. Signed by the author-printer, Vance Gerry, who added a watercolour self portrait. As new, from a limited edition of 20 copies, only four had watercolour paintings. Gerry began printing in 1963 at the Peach Pit Press. In 1968, he changed the name to the Weather Bird Press, producing beautiful private press illustrated books until his death in 2004. First editions of both volumes of this classic cookbook. Volume 1 is signed with the words "Bon Appetit Julia Child" on a bookplate. 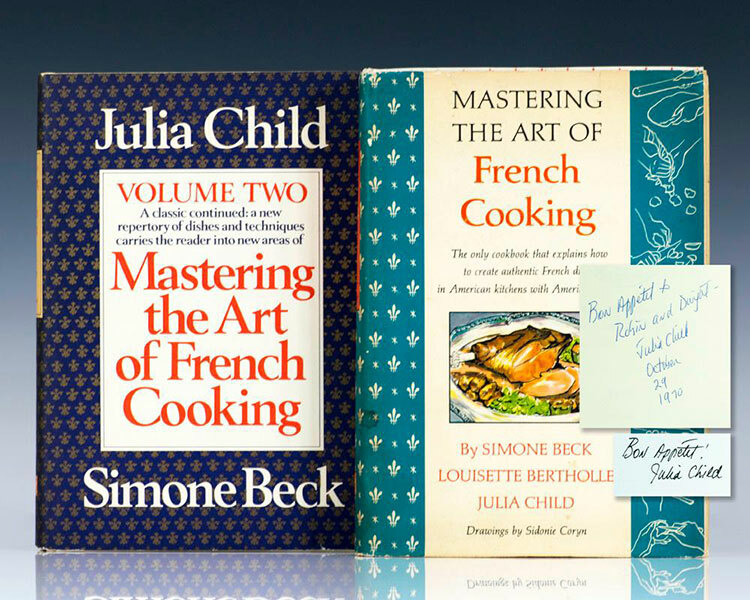 Volume two is inscribed by and dated in the year of publication by Julia Child on the half title page. Both copies are in near fine condition in near fine dust jackets. Arguably the most influential work on French food ever published in the United States. Published in 1971, this is one of Australia's most notable collectable books. The first complete account of the songs of the aboriginal people of Central Australia and their significance as oral literature. Only 500 copies were printed. Signed by the author. A breviary is a book containing the service (psalms and prayers) for each day, to be recited by Roman Catholics.